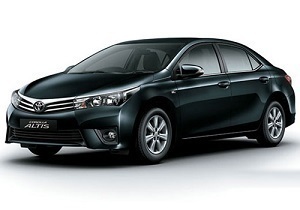 We offer a Toyota Collora (or equivalent model) with driver including 8 hours and 100KM mileage a day in any city in China. Please book online or contact us by email and we will reply you within 24 hours. How to book our chauffeur service? Multiple payment methods and commercial invoice available. Step 1: Decide whether you want a fixed or a flexible price. Step 2: Send us your full itinerary and get an exact quotation. Step 3: Confirm the quotation and receive a PayPal invoice. You can choose to pay in full online in your local currency or a 50% deposit (if you choose to pay a deposit, you must pay for the balance in RMB (cash ONLY each day to our driver). Step 4: Make the payment via your paypal account or credit card and provide your personal contact information. You will receive our confirmation of payment immediately and your driver's details will be provided at least 24 hours before the first date of the period booked. extra cost if you have a fixed itinerary. must be paid to the driver). for a basic cost agreed in advance. based on the car model. recommended for inner city trips. second payment if over 100km or 8 hours. How to get to Guangzhou? How to get around in Qingdao? Copyright © 2017 BizTaxis.com. All Rights Reserved.